One aspect of the memorandum of understanding between the EU and Greece in mid-August 2015 concerns reform of Greek household insolvency law with Greece being required to modify its existing law and administration. Greece introduced a personal insolvency law in 2010. This included a mandatory pre-judicial settlement procedure and a repayment period of 4 years before a discharge. It also permitted under certain circumstances an individual to remain in her primary residence provided she repaid 80% of the value of the home over 20 years. The law was hardly a debtor’s charter and was based on the defective German personal insolvency law (see e.g. criticisms by Backert et al here) . It was predictable therefore that the Greek law would face initial problems in implementation. The pre-judicial settlement phase rarely resulted in an agreement. Consumer groups attributed this to the intransigence of the banks but it is also possible that limited specialist advice existed for consumers and no guidelines existed for negotiations. Courts were ill equipped to address bankruptcy issues, free legal advice was not available and the courts became overloaded. Individuals might have to wait years–even in extreme cases until 2024!– for a hearing. These failures on a smaller scale were experienced by France and Germany when they initially introduced individual insolvency laws without thinking through the proper infrastructure for administering large numbers of cases of individuals with few assets. Greece also introduced in substance a moratorium on foreclosures of primary residences under a certain value. In face of increasing levels of non-performing loans (not surprising in the light of the austerity measures) the IMF concluded in 2012 that the Greek law was a failure. They claimed that the blanket protection of the moratorium resulted in ‘strategic default’ and moral hazard. Greece duly agreed to change its law, substituting targeted relief for ‘vulnerable debtors’ so as to minimize moral hazard and modernize the Act in line with ‘best practices in the EU’. When the Syriza government was elected it proposed to reintroduce the moratorium while at the same time pursuing strategic defaulters. The agreement of August 2015 imposes a battery of reform obligations on Greece with a demanding timetable. The obligations include: establishing a stricter screening process to deter ‘strategic defaulters’, tightening the eligibility criteria for protection of the primary residence, introducing measures to address the backlog of cases, short form procedures for debtors with no income or assets, developing specialised court chambers for individual and corporate insolvency and training additional judges, establishing a regulated insolvency profession in line with ‘good cross-country experience’, reactivating the government council of private debt, amending the out of court procedure to encourage debtors to participate while ensuring fairness among creditors. Debt to public agencies will now be dischargeable and the discharge period for entrepreneurs reduced to three years in line with the EU recommendation of 2014. This process of reform will draw on ‘independent expertise’, external consultants and ‘cross country experience’. Greece commits to review the process of reform by mid 2016. The policies are a mixture of potentially progressive ideas and less well thought out reforms. The introduction of a swift no-income-no-assets procedure and the inclusion of public creditors in the discharge are welcome. Stricter screening criteria are likely to be problematic in implementation and deter those in genuine need. It is not a simple matter to distinguish ‘strategic’ from ‘good faith debtors’. Such measures taken in a crisis may not be dismantled after the crisis, having a long-term detrimental impact on access to insolvency. This imposition of reforms by the EU raises concerns (for a trenchant critique of the provisions see Yanis Varoufakis here) . Technocratic knowledge substitutes for democratic decision-making. One might feel less unhappy if the technical expertise was based on sound empirical studies and well-tested theories of insolvency administration. However, data were never presented on the level of ‘strategic defaulting’ taking place or the extent of ‘moral hazard’ in Greece. Increases in non-performing loans do not necessarily equate with large increases in strategic default. The abstract economic categories of strategic behaviour and moral hazard may not be helpful for understanding the situation of a country in crisis. I do not doubt that some strategic default existed but the Troika and IMF never provided data on its extent. Given the absence of a ‘scientific’ basis for the EU requirements what is the source of legitimacy for the insolvency norms being imposed? Unlike business insolvency where the UNCITRAL guidelines are used to measure a country’s insolvency law, no international standards exist for individual insolvency. The IMF recognised this fact in 2013. Yet by 2015 the EU is appealing to ‘best practices’ and ‘cross-country experience’ (without identifying countries or why they represent best practice) in justifying its imposition on Greece of particular insolvency norms. In truth, given the absence of international norms, the IMF in their work on personal insolvency reform in Europe have been ‘making it up’ as they go, with changing scripts depending on the ability of the country to resist IMF pressure. It is unlikely that Greece will be able to meet the demanding time line for introducing insolvency reforms, such as the creation of an effective infrastructure of courts. Creating a well-functioning bankruptcy infrastructure is not a short-term task. It is as if Greece has been set up to fail. Borrowers in Europe remain highly leveraged. This is the verdict of the IMF documented in the UK by the Bank of England in its November 2013 Financial Stability Report where they note a UK debt-to-income ratio of 140 per cent (Chart 2.4). Mortgage debt represents a substantial proportion of this debt and reports in late 2013 outlined the vulnerability of homeowners to an interest rate rise. The IMF recommended that European governments might consider ensuring that they have ‘effective insolvency frameworks—featuring, for example, fast and flexible personal insolvency’. Joseph Spooner and I in a recent post criticised the current English system (Scotland has its own system) as failing to provide effective and widely accessible mechanisms for swift deleveraging. Against this background has appeared a new book on the causes and policy responses to the Great Recession by Atif Mian and Amir Sufi entitled House of Debt. Lawrence Summers described it in a recent FT review as perhaps ‘the most important book to come out of the 2008 financial crisis’. Mian and Sufi find (on the basis of careful data analysis) that the severity of a recession is linked to the preceding build up of household debt (‘economic disasters are almost always preceded by a large increase in household debt”). Those countries with the largest build-up of household debt suffered the largest decline in output. The collapse of asset prices concentrates losses on borrowers with lower net worth whose spending is most sensitive to income shocks. This intensifies inequality. Given this diagnosis policy makers should ensure swift deleveraging for these debtors. This policy prescription challenges the dominant economic view that the banks must be protected (i.e. bailed out) ‘at all costs’—what they term the ‘bank lending’ view— in order to sustain lending and in priority to bailing out homeowners. A higher priority should have been given by governments in the wake of the Great Recession to reducing the debt of those lower and middle-income consumers with ‘the highest propensity to consume’. Mian and Sufi also argue that ‘moral hazard’—that individuals will run up debts and take more risks because of a possible bail out–are greatly overstated. Individuals may have mistakenly believed in a continuing increase in house prices and assumed that because their neighbours continued to borrow against rising values that it was not dangerous to do so, but this is hardly moral hazard. Mian and Sufi’s diagnosis is clearly an important economic intervention. I am interested in the consequences for policy making. They critique the Obama government for failing to permit the writing down of principal (so-called ‘cramdown’) on mortgage debt in US bankruptcy law and for its ‘tepid’ programmes for over-indebted householders.They also criticise Spain where the government made little attempt to protect homeowners and only under pressure from civil society, the European Court of Justice, the European Semester and the IMF, introduced reforms and ultimately in late 2013 a very limited form of insolvency for non-traders (see discussion here). No overall assessment exists of the European response to households with unmanageable mortgage debt, after housing bubbles burst in countries such as Ireland, Spain and the UK, and the subsequent imposition of austerity severely depressed growth with consequent household debt problems in Greece, Portugal and the Baltic states. Although the EU commission in the documents accompanying the Mortgage Directive indicates that ‘losing the family home after having lost one’s job has intolerable social and human implications for both borrowers and their families’, the Mortgage Directive has rather mild provisions on mortgage arrears (see art. 28) encouraging member states to promote forbearance in foreclosures. Given the absence of non-recourse mortgages in Europe individuals cannot ‘walk away’ from negative equity and in countries such as Spain could not discharge the unsecured part of the mortgage in bankruptcy since a discharge was not available to non-traders. The EU provides a laboratory of national experiments in writing down household debt. These include (1) moratoria on foreclosures (Iceland, Greece) and foreclosures as a last resort (UK) (2) protocols for identifying and treating consumers in arrears on mortgage debt (UK, Portugal) (3) Possibilities for restructuring mortgages and foreign currency loans (Hungary) and in some cases write-down of the principal (Iceland) (4) Buy backs by local governments or agencies and rental to debtor (5) State subsidy for mortgage interest (UK). European precedents from previous crises existed for addressing mortgage debt. After the banking crisis in the early 1990s, Norway instituted an apparently successful programme of principal write-down with lenders having the possibility of recouping a portion of any subsequent upswing in value. Iceland introduced a similar programme after the crisis which received praise from the IMF in its 2012 World Economic Outlook report (see ch 3). This report recognised the importance of ‘bold household debt restructuring programs’ and commended Iceland for having introduced an integrated set of procedures which combined standardised methods for mortgage renegotiation with targeted relief of principal write-down for those with negative equity. In contrast the Greek reforms of 2010 which included mortgage restructuring as part of insolvency and an across the board moratorium on foreclosures were regarded by the IFIs as a failure partly because of the inadequate court structure and absence of clear guidelines. The law was modified in 2013 to provide more targeted relief for homeowners. A central policy question is whether to address mortgage debt within bankruptcy procedures or to establish separate, and usually temporary, programmes. Few homeowners make use of existing insolvency procedures in the EU, even in those countries where it may be possible to deal with aspects of mortgage debt (e.g. France–where there is a discretion to write-down a deficiency on housing debt) and this may suggest that separate programmes have better chance of success. 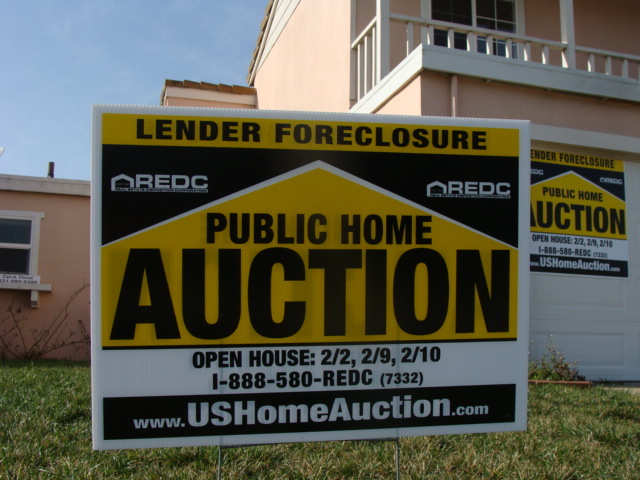 In contrast in the US an influential article by Adam Levitin in 2009 argued that the well-established US bankruptcy procedure with specialised bankruptcy courts was the best site for dealing with mortgage debt. The US government did not however adopt this alternative and a subsequent study by Alan White and Carolina Reid suggests greater success was achieved through specific loan modification programmes than through existing bankruptcy procedures. Further systematic empirical study in Europe is desirable. Existing experience suggests difficulties in achieving well-balanced programmes during a crisis. In his review Summers criticises Mian and Sufi for not taking these practical difficulties into account but Levitin argues in a response to Summers that these difficulties were overstated or non-existent in relation to cramdown. Political challenges exist to the introduction of any cramdown programme. Financial institutions in countries such as the US and UK remain influential in a crisis and are unlikely to support mortgage principal write-downs. Conflicts over policy may result in compromised and poorly designed outcomes. It could be useful therefore to plan ahead for potential trouble before a crisis occurs. Mian and Sufi suggest greater risk sharing of downside risk in debt contracts so that they resemble equity contracts (similar to Islamic finance). Thus a shared responsibility mortgage would offer downside protection to the borrower through reduced mortgage payments if the value of a home decreased while the lender would take 5 percent of any capital gain. This would produce an automatic stabilizer during recessions through reduced payments. Without discussing in depth the details of this programme it has the benefit of attempting to address ex ante potential problems by providing an automatic stabilizer in the event of a crisis. Home ownership is an important economic and social institution in the EU. Before deregulation in the 1980s, the UK had a ‘safe’ mortgage system with a low repossession rate because access to mortgages was limited for ‘non-standard’ individuals. The French system of financing home ownership continues to limit access to younger individuals and those not in secure jobs. The consequence is a default rate much lower than in the UK (see discussion here ch.4). The current recession underlines the need for effective safety nets for individuals in economies subject to periodic housing bubbles. Over-indebted Sweden–and limited escape out of the debt trap? Sweden may not be a country associated with over-indebtedness but recent reports raise concerns about levels of Swedish household debt and the appropriateness of current debt restructuring procedures for individuals unable to repay their debts. First, a recent report by the Swedish Riksbank indicates that the aggregate debt-to-income ratio has risen from 90 to 174 percent since 1995 and is expected to rise further. The intriguing question is the distribution of this debt among the population.The Riksbank found that among those with mortgage debts individuals and households with lower incomes have the highest debt-to-income ratio. Significant numbers of older individuals and those living in non-metropolitan areas also had high debt-to-income ratios. The report concluded that high indebtedness is widely spread in the Swedish population and not restricted to high-income earners (whose debt may be balanced by higher assets) as suggested by a 2013 official investigation of over-indebtedness. The primary concers of the Central bank are the effects on financial stability and the general economy and the report may have responded to IMF concern about a potential housing bubble in Sweden. The Riksbank has required Swedish banks to hold greater capital and increase loan-to-value ratios. The Swedish individual debt restructuring process, an administrative system operated by the Swedish Enforcement Authority , has high barriers to entry for an over-indebted person and normally a required repayment plan of five years before a discharge of debt. A ‘qualified insolvency’ test requires the decision maker to determine whether an individual might be able to repay the debts in the foreseeable future, traditionally interpreted as 15 years, and also whether the conduct of the debtor was reasonable. One consequence of these criteria is that few younger debtors were able to access debt reconstruction and the discretion to shorten a plan appeared to be exercised only for individuals who are seriously ill or heavily indebted retirees. The great majority of individuals accessing the procedure are over 50, a sharp contrast to other European countries. An official report (‘Out of the Debt Trap’) in 2013 investigated this system of debt restructuring against a background of concern that there were ‘perpetual debtors’–individuals who had been on wage attachments for many years or repeatedly been subject to wage attachments or had no attachable assets and qualified for debt restructuring–but had not applied for debt restructuring. The main proposals of the Report (here) are that a more nuanced approach should be adopted towards the application of the qualified insolvency criteria, that the present procedures be simplified (e.g.online applications, a single payment to the agency who would distribute to creditors) and greater efforts be made to indicate the possibility of debt reconstruction to those who might qualify. Greater assistance through budget and debt counselling is also deemed necessary and the report raises the possibility of an individual being able to resort to debt reconstruction a second time (but only in exceptional circumstances). Currently this is not possible. Although the report proposes more flexibility in plans with the possibility of shorter plans, the examples it provides of where this would be appropriate- “heavily indebted old-age pensioners and debtors who are seriously ill”-do not indicate a substantial change in practice. Increasing numbers of individuals in Sweden are making applications for debt restructuring (from 6589 in 2009 to 9184 in 2013). This still represents a rate of under 1 per thousand capita (compared e.g to England at over 2 per thousand). The Report argues that a substantially larger number of potential users exist. Even if the proposed changes are enacted the Swedish system of debt restructuring will remain relatively restrictive. Moreover debt advice is primarily the responsibility of municipalities and its coverage varies throughout the country with long waiting lists in some municipalities. It is not clear why the Swedish system is so tough. The idea of maintaining ‘credit discipline’ and ‘payment culture’ have been cited to me but there seem to be already significant numbers of casualties within the existing system, there is little evidence that more liberal insolvency systems result in substantial ‘moral hazard’, and there are many other techniques (credit scoring, bureaux etc) for maintaining credit discipline. The above headline is taken from the English tabloid Daily Mail which claims that the new FCA responsible lending rules under the Mortgage Market Review have resulted in long and detailed questioning of potential borrowers on their household outgoings. The Financial Times on May 17th reports a lending logjam as a consequence of the stricter and more exhaustive lending criteria. The affordability rules (for those interested in the detail see here ) are the target of attack. These require lenders to verify household income and ensure that the mortgage is affordable taking into account borrowers’ ‘committed expenditures’ and ‘basic household expenditure’. The lender may not rely on capital appreciation as a basis for lending and must take into account market expectations of future interest rate increases over a minimum period of five years. Self-certified mortgages are prohibited and interest only mortgages are only permitted if there is a clearly understood and believable alternative source of capital repayment. These rules were developed through a process of consultation including an impact analysis which estimated the extent of market exclusion in both subdued and boom markets. The overall exclusionary impact was predicted to be most significant for credit-impaired consumers rising from 10.5 percent in a subdued market to 69.7 percent in a boom. This was the sector which had exhibited the poorest underwriting standards ‘in some cases bordering on the predatory’. The impact on first time buyers was much smaller rising from 0.9 percent to 10.5 percent in a boom period. The media may simply be pointing to teething problems in implementation. However other issues may be raised. First, the potential difficulties of maintaining political support (at least in the UK) for rules which exclude individuals from the market. The justification for the rules are clear–to avoid future problems with repossessions, debt difficulties and default as well as ensuring the capital stability of financial institutions. Given the importance attributed to home ownership in England– and the many business and financial interests associated with the housing industry as an ‘engine of growth’–political pressure may build both to reduce the impact of the rules and at the same time challenge the authority of the regulator. The ideology of access and choice has been the norm since the deregulation of the mortgage market in the 1980s. As the memory of the Great Recession becomes dimmer, particularly among first-time buyers, we may witness continuing attempts to reduce the effects of these changes. A second issue concerns the most effective method of implementing the concept of responsible mortgage lending. The UK model tracks the G20 Financial Stability Boards principles on sound residential mortgage lending but does not adopt sharp loan-to-value limits or debt-service ratios which exist in countries such as Canada and Japan. The FSA (now FCA) rejected loan-to-value limits, notwithstanding the evidence of a relationship between high LTVs and arrears, because of the potential impact on first-time buyers. Strict debt-service ratios were rejected because of the perceived weakness of correlation between high debt-service ratios and arrears and the over-inclusive nature of this approach (i.e significant numbers of ‘good’ borrowers might be excluded; see here at 55-59). The advantages of strict bright line rules over the affordability tests are in theory their simplicity and reduced compliance costs. The disadvantage is that they are inevitably over-inclusive. Whichever system is adopted will present ‘gaming’ opportunities. The web already reports on methods to avoid the requirements. The UK developments anticipate the implementation of the EU Mortgage Market Directive (see recent post here) and the approach of the Directive reflects the influence of the FCA in its approach to assessing creditworthiness. Responsible lending is now a worldwide phenomenon. The World Bank now has a responsible finance site including a study which indicates the world-wide growth of responsible lending provisions since the Great Recession with an increase from 20 to 40 countries imposing explicit limits such as loan-to-income ratios. There is a need for systematic comparative analysis of the different approaches and their effects in emerging as well as mature credit markets. 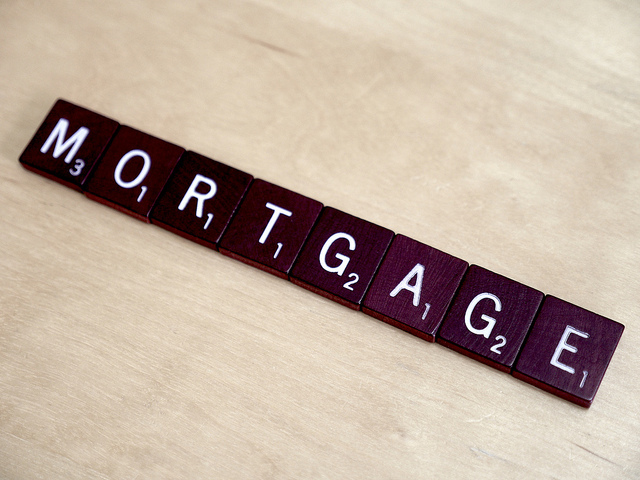 This post discusses the EU Mortgage Credit Directive (2014) . This Directive imposes greater ex ante controls on the granting of mortgage credit. Creditors must make a ‘thorough creditworthiness assessment’ of a prospective borrower (art.18) which may include cross-border access to credit databases. Credit grantors must provide adequate explanations of proposed agreements so that a consumer is enabled to assess whether the agreements meet his needs and financial situation. A standardised pre-contractual European information sheet must also be provided ‘in good time’ before entering into the agreement. The Directive also regulates standards for property valuation, arrears and foreclosure procedures, and foreign currency loans. Member states must promote financial education measures for consumers in relation to responsible borrowing and debt management and the Commission must deliver a report by early 2019 on ‘the wider challenges of private over-indebtedness directly linked to credit activity’ (art 45). ‘Irresponsible behaviour by market participants'(Recital3) as well as the conventional objective of reducing the barriers to the creation of an efficient internal credit market (Recital 2) are the rationales for the Directive with its objectives being to achieve ‘a more transparent, efficient and competitive internal market, through consistent, flexible and fair credit agreements relating to immovable property, while promoting sustainable lending and borrowing and financial inclusion, and hence providing a high level of consumer protection’. The Directive represents a step change from the earlier 2008 Consumer Credit Directive which applies to unsecured consumer credit. The Mortgage Credit Directive has a stricter and more specific creditworthiness assessment process than the Consumer Credit Directive with an obligation on a creditor not to grant credit if a consumer does not meet the test. Greater attention is paid to ensuring that creditors have properly trained staff and supervision of these standards by regulators. The Mortgage Credit Directive reflects post-crisis politics. The introduction of the Mortgage Credit Directive took place against the background of international post-crisis measures of consumer protection in financial services and the adoption by the G20 of high level principles on financial consumer protection in 2011, whose content was partly influenced by international consumer groups. These principles are ‘voluntary’ but the document requests that all G 20 members ‘and other interested economies should assess their national frameworks for financial consumer protection in the light of these principles’. The initial Commission draft of the Mortgage Credit Directive was amended significantly by the European Parliament Economic and Monetary Affairs Committee (rapporteur Antolin Sanchez Presedo) to include greater specificity in responsible lending obligations and provisions on arrears and foreclosures. A high level of consumer protection, preventing another mortgage crisis and addressing the problems of indebted homeowners drove the amendments. References are now made in the Directive to the G-20 principles (e.g. Recital 3). The legislative outcome of the Mortgage Credit Directive contrasts with the Consumer Credit Directive. The original draft of the Consumer Credit Directive was introduced in 2002 as a comprehensive directive on consumer credit including a ‘suitability of credit’ obligation of responsible lending based on Belgian law. Financial interests operating through the European Parliament, and their national governments succeeded in gutting many of the provisions of the original Directive. The Directive’s proposals became associated with a paternalistic image of consumer protection during a period when the ‘democratisation of credit’ was in the ascendancy. Ironically the modest final Draft of the Directive came into force a few months before Lehman brothers crashed and along with it the confidence in the idea of credit as ‘the lubricant of economic life’. These two Directives create different regimes for responsible lending in unsecured and secured credit. Such a distinction is not justified particularly since problems with unsecured credit may be most significant for individuals with lower incomes.